In an encouraging instance, the benefit of reservation and age relaxation available to the ‘Physically Handicapped’ (PH) candidates in the Delhi Judicial Services (DJS) Examination have been extended to the hearing impaired, without any litigation, on account of a letter by a hearing-impaired student of law addressed to Chief Justice G Rohini of the Delhi High Court in her administrative capacity. In the High Court notification dated December 23, inviting applications for the DJS Examination of 2017, hearing-impaired candidates have been expressly included in the PH category and entitled to the said benefits. 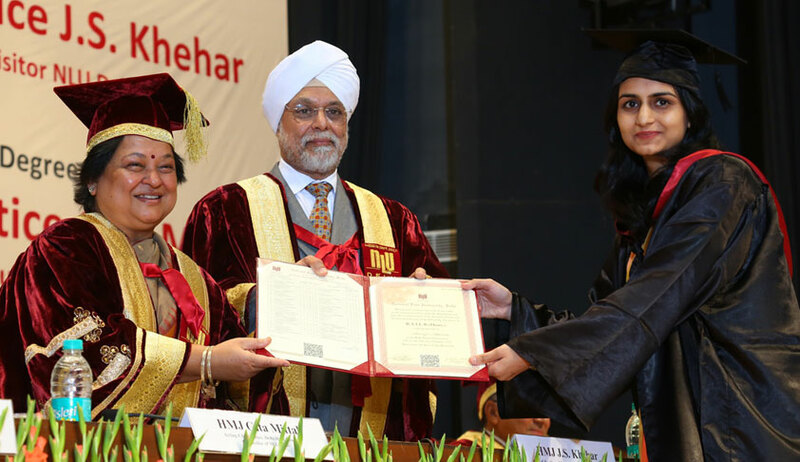 In her letter dated April 20, 2016, Saumya Sharma, a final year student of NLU, Delhi, drew the attention of the Chief Justice to the ‘advertisement’ notifying the Delhi Judicial Services Examination, 2015 and the ‘important instructions’ annexed thereto, limiting the relaxation of 10 years in the upper age limit and horizontal reservation of 3% available to the PH candidates to only the visually and orthopaedically-disabled. She iterated that to seek clarity on the eligibility of and reservation granted to hearing impaired candidates, she had filed a request for information under the Right to Information Act of 2005 with the Delhi High Court. The Public Information Officer of the Delhi High Court had communicated that as per a Ministry of Social Justice and Empowerment (MoSJE) notification dated January 18, 2007, jobs of judges and magistrates subordinate in lower judiciary are not identified for hearing-impaired candidates. Through her letter, Saumya elaborated on the reasons why the notification is not binding on the Delhi High Court. She relied on the judgment of the Supreme Court in Union of India v. National Federation of the Blind [(2013) 10 SCC 772], in so far as the court has therein interpreted Section 33 of the erstwhile Persons with Disabilities Act of 1995 to mean that every appropriate government has to appoint a minimum of 3% vacancies in an establishment out of which 1% each shall be reserved for persons suffering from blindness and low vision, persons suffering from hearing impairment and persons suffering from locomotor or cerebral palsy in the posts identified for each disability. She continued that though the RTI response refers to the 2007 notification, an updated List of Identified Posts suitable for Persons with Disabilities - 2013 was notified by the MoSJE vide notification dated July 29, 2013 which maintains the status quo ante regarding hearing handicapped candidates in the judiciary. However, an Office Memorandum of the Department of Personnel and Training (DoPT) dated January 8, 2014, explicitly states that the list of jobs and posts notified by the MoSJE is illustrative and the concerned Ministries and Departments can further supplement the list to suit their job requirements. The same is reiterated in the OM of the DoPT dated December 29, 2005. Further, the List of 2013 was updated more than 3 years ago, and by virtue of section 32 of the Act of 1995, it was imperative for the Appropriate Government to take into consideration the significant developments in technology that have taken place since then which now enable hearing handicapped persons to lead their lives normally. Finally, hearing impairment is not declared as a disqualification under Rule 19 of the Delhi Judicial Services Rules of 1970. She averred in her letter that the exclusion of hearing-impaired candidates from SAIF benefits amounts to a violation of the fundamental rights under Article 14, 16 and 19 of the Constitution. The said exclusion does not qualify as reasonable classification for the purpose of Article 14 as it has no rational nexus with being eligible for participation in the examination or availing the benefit of reservation allowed to other disabilities for the examination. “The right guaranteed by Article 16(1) includes the right to apply for a Government office post, and a right to be considered on the merits for the post for which an application has been made...Even though Article 16(1) does not prohibit the prescription of reasonable rules for selection or appointment to any office, the current rules barring hearing impaired candidates from being considered for the Delhi Judicial Examination are not reasonable. The prescribed suitability criteria is based on the assumption that all hearing impaired candidates cannot hear”, continued Saumya. Finally, she relied on Article 19(1)(g) guaranteeing to all citizens the right to practice a profession of their choice, including public employment. While restrictions regulating the conditions of public employment may be imposed on the ground of public order under Article 19(2), barring hearing impaired candidates from appearing for the examination did not further any public order objective. Also, she criticised the argument that courts are not equipped to accommodate judges with hearing impairment in view of Section 42 of the Act of 1995 which mandates that the government has to make schemes to provide aids and appliances to people with disabilities. She had requested the Chief Justice of the Delhi High Court to “review the relevant Instructions and explicitly include hearing impaired candidates for the purpose of reservation for the DJS Examination to be conducted in the future”.